477108 | Vivid A/C Dye Cartridge - CPS Products Inc. 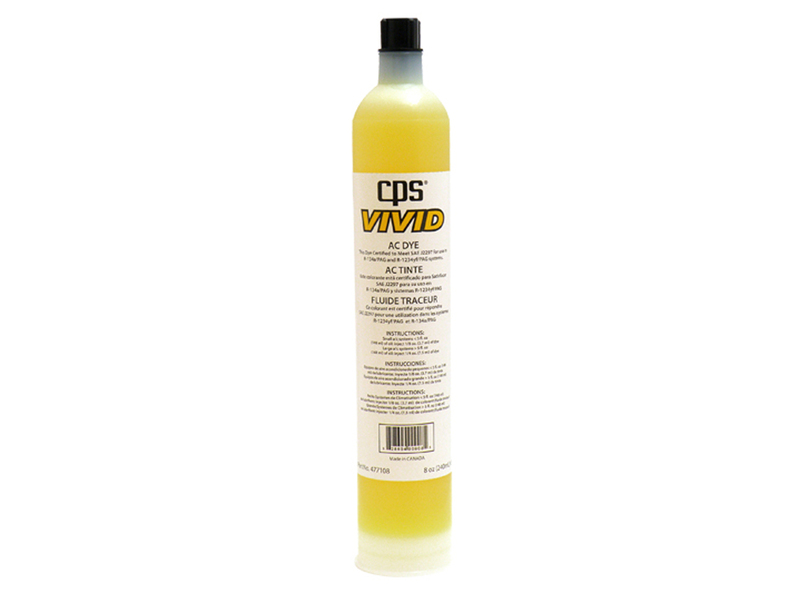 Vivid A/C Dye Cartridge (8 oz./240mL) High Quality UV dye for use in R-134a and R-1234yf systems. Compatible with competitive “pistol” style injection systems.